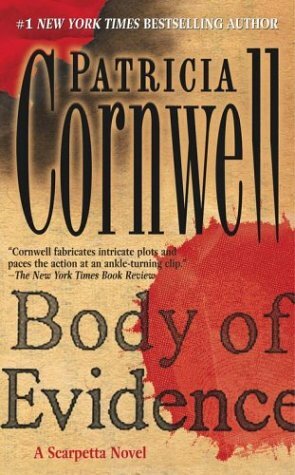 I picked up this Cornwell novel (my first one) at the public library after reading Jean’s review of Cornwell’s most recent book (Port Mortuary) on our SCC blog. I enjoyed reading this book and finished it in 2 days. It tells the story of Dr. Kay Scarpetta, the Virginia Chief Medical Examiner, who investigates the brutal murder of historical romance writer, Beryl Madison. The plot has many twists and turns – it definitely kept me hooked. I’m curious to see how the characters, Dr. Scarpetta and Pete Marino (the detective), will be developed and how their chain-smoking habit will be affected with smoking bans in Cornwell’s later books in the Scarpetta series. I was a little disappointed in the ending. I don’t think the killer was given enough relevance to the victims and events or maybe I just missed some clues. . . I’m looking forward to reading Cornwell’s first Scarpetta book, Postmortem. A Visit from the Goon Squad received a lot of attention this past year, especially after winning the 2011 Pulitzer Prize. At first I wasn’t too interested in reading it, but got curious after hearing about all its accolades. 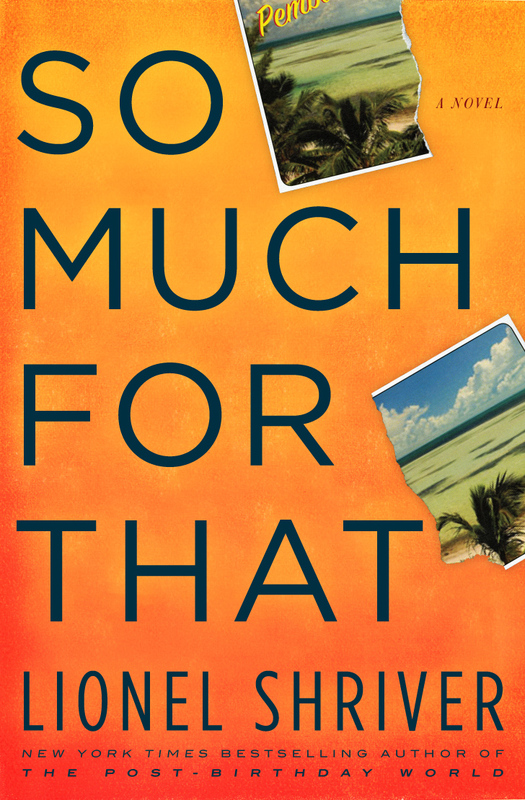 Egan’s novel focuses on the lives of Bennie Salazar, an aging record executive, and his beautiful and troubled assistant, Sasha. Essentially this novel looks at their lives as a whole, from a number of different perspectives. 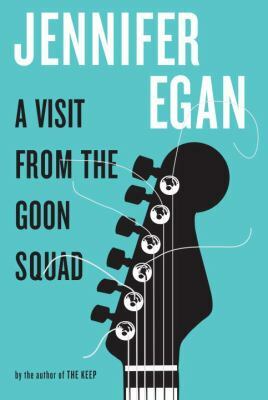 One could almost look at A Visit from the Goon Squad as a number of short vignettes with an array of characters, all of whom somehow have a connection to Bennie and Sasha and the lives they came to lead. I felt confused a lot of the time that I was reading this novel. I was trying to make connections between each chapter and figure out who was who and if they were connected to Bennie or Sasha. I can appreciate the creativity of Egan’s approach and she has great character development, but I think my expectations for this novel didn’t prepare me for its format. When I finished the book I just remember thinking to myself, she’s a talented author. This book will definitely make you appreciate the craft of writing and storytelling. This is not a sugar-coated, “happy” novel by any means, as the title might imply. Shriver’s protagonist, Shep Knacker, has made it his goal to work hard and save enough money so that he can retire early and enjoy what he refers to as “the afterlife.” Having journeyed to Africa with his family as a young man, Shep came to realize that in some areas of the world it’s possible to live a happy and comfortable life on only a few dollars a day. This is the life he eventually wants to lead and he’s been planning for it for years. The day comes when Shep has sold off his self-made business, he’s made up his mind that now is the time to start “the afterlife.” The problem is that shortly thereafter he learns that his wife of 26 years, Glynis, is suffering from mesothelioma. Shep can’t leave because Glynis needs his health insurance. Even with this small sense of security, the medical bills are overwhelming and Shep is forced to sacrifice his nest egg and his dream in his efforts to save his wife. This novel tells the story of a marriage and the realities of life. We never have complete control over our futures. The descriptions of Glynis’s battle with cancer are intense and very real – the physical and emotional descriptions really got to me. Shriver doesn’t scrimp on the details and he makes you see just how hard it is when someone you love is suffering, and what love means when you become their primary caregiver. Shriver also has a very clear message about the American healthcare system – there’s no escaping that this is one of the novel’s primary focal points. My husband reads MANY business books but seldom does he ask me to read one and give my opinion. This one, he did. The Dream Manager is a new concept on how to retain employees and keep employees happy by helping them reach for and attain their dreams. As I was reading I couldn’t help but think how much the business concept of The Dream Manager was just like the old way of doing business. Employees were more than just a number, there were relationships between employees and their bosses and/or managers. 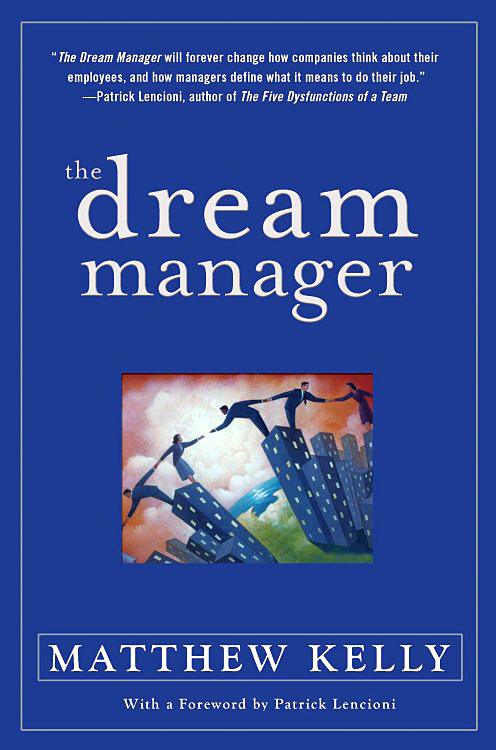 The Dream Manager is wonderful in that it shows how important it is for everyone to have a dream and to reach out for that dream. It talks about how to bring relationships and caring back into the work space. The author set the book up as a scenario in a bogus company so you felt like you knew the characters and could relate. Overall, for a business book, it was really interesting to read. 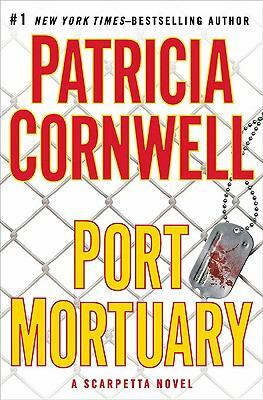 Port Mortuary by Patricia Cornwell is the latest addition to the Scarpetta series. Kay Scarpetta is a fictional Chief Medical Examiner who first appeared in the novel, Postmortem, in 1990. Scarpetta and her forensic medicine predate the popular television series, CSI, which made its debut in 2000. In Port Mortuary, an apparently dead man is taken to Kay Scarpetta’s Cambridge Forensic Center in Massachusetts. When the body is removed from the cooler the next morning, there are signs that the man may have still been alive when he was placed in the cooler. Scarpetta must determine when the man died, how he died, and if foul play was involved. In Port Mortuary, Patricia Cornwell brings back all the main characters that were introduced in the other 17 Scarpetta novels. As in her other Scarpetta novels, Cornwell supplies many twists and turns, sprinkling in forensic science as the plot unravels. Cornwell’s novels are fast-paced and hold your interest. Port Mortuary is a well-written and interesting novel, but not for readers with queasy stomachs. If you have not read any of the previous Scarpetta novels, you may want to read some of the earlier books before tackling Port Mortuary to better understand the interaction of the characters. This novel is recommended for anyone interested in forensic science. Here you have it. From the introduction, author Sam Kean sums up his book in one sentence. He does an excellent job in presenting the periodic table of elements along with telling fascinating stories of people and scientists and scientific discoveries. This book is accessible, informative and humorous. Sometimes I felt like I was listening to gossip and being entertained. Ok, so it’s history of science gossip. . . It’s like listening to a friend telling stories about chemistry and physics, and this friend would be wearing a periodic table t-shirt or scarf ;). Did you know copper’s career in public health began in 1976 when a plague broke out in Bellevue-Stratford Hotel in Philadelphia? Or that element 137, Untriseptium, is a hypothetical chemical element which is also called feynmanium. Why? Which famous scientist is behind it? You’ll also find out why Plato adored geometry. 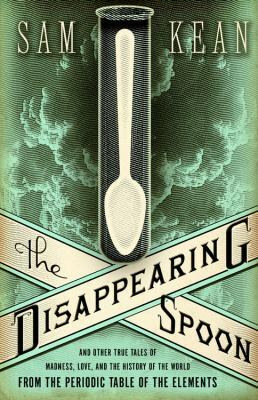 There’s all kinds of fun information in The Disappearing Spoon. If you are a fan of science and history, read this book! Autobiography · Celebrities · Julia P · Non-Fiction · Quick Read! 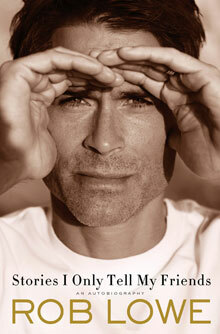 I’m not ashamed to admit that part of the reason I felt compelled to read Stories I Only Tell My Friends is because I think Rob Lowe is an incredibly attractive man. That being said, I also enjoy Lowe as an actor – at least in his more recent work (Brothers & Sisters, Parks & Recreation). I was surprised to learn that Lowe didn’t have a ghostwriter for this book – it made me appreciate him a little more since it seems like EVERYONE uses a ghostwriter now. The memoir chronicles Lowe’s life and explains how he came into the world of acting. It started when he was a young boy living in Ohio – he was drawn to the idea of acting after going to his first play. His success stemmed from his assertive attitude in knowing what he wanted (he introduced himself to Liza Minnelli by simply knocking on her hotel room door) and fate (his mom and step-dad felt compelled to move to California for the “cleaner” air). The book is interesting, not only for Lowe’s personal back story, but also for the celebrity run-ins he’s had his whole life. He grew up hanging out with the Sheen family, he could have dated Sarah Jessica Parker, he worked briefly with Janet Jackson, he palled around with Patrick Swayze and Michael J. Fox, he “dated” Princess Stephanie of Monaco. . . This was a fun, light-hearted read. There are some darker times when Lowe briefly glosses over the scandals he dealt with in his life, but it’s clear the purpose of the memoir is to show how he was able to rise above it and survive as an actor and as a successful father and husband. He spent a fair amount of time talking about the phenomenon that was “The West Wing” and it’s now waiting in my Netflix queue (I think I’m one of the few people who never watched the show). I’d definitely recommend this if you like celebrity bios or just appreciate celebrity gossip. If you need a good beach read, a light summer read, or something perfect for perusing while you travel, I’d recommend Stories I Only Tell My Friends.